Some might conclude that a Google watch is a trendy timepiece you wear on your wrist. It's easy to see how someone could think that, since Google's products are so diverse and services so pervasive. And since wrist computers truly exist, the concept is not entirely unrealistic. All puns and fashion trends aside, a Google watch monitors for the latest innovations, releases or trends from the most popular search engine in the world. Since the SEO industry is intensely focused on every move Google makes, tracking is an important (and lucrative) pastime for some people. Others with anti-Google sentiments observe for different reasons. The purpose for their Google watch is to detect and raise awareness of questionable practices and wrongdoing. It's surprising how many people are convinced that Google is exempt from blameworthiness. But if you've ever been unjustly penalized or had your business destroyed by Google or actually tried to converse with a Google employee to get help with your situation, you will see Almighty Google in a slightly different light than the rest of the crowd. 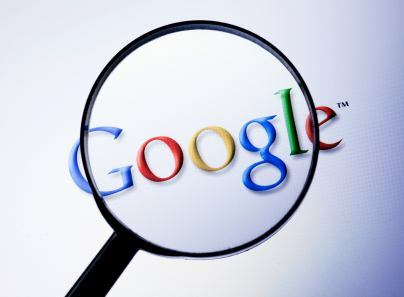 Rare is the person or group who speaks out against Google's wrongdoings. In fact, those who do are frequently shunned and ridiculed. Why this behavior occurs is best left to sociologists, et al, but the contempt and ridicule originate, to a large degree, from those who scream the loudest for free speech. But that's a different subject. Most of us take Google for granted, or rather, take what Google is doing for granted. We assume Google is playing fair and adhering to its motto of Don't be Evil. But what guarantees do we have that it is? None. Hence, the need for a Google watch. Not long ago, a common test for trustworthy brands was consistency and reliabilty. But times have changed, because if consistency (or transparency) were still a test for trustworthiness, Google would fail miserably. Online, public relations rules and technology is so blinding that despite its unfair treatment of site owners and its we-don't-communicate-to-humans aloofness, most people scoff at the thought that Google could ever be up to anything except creating those cute homepage graphics and delivering services that are free, free, free! In the past, Google's algorithm has favored bloggers, particularly those bloggers who game the system. The Site Build It Scam is one example of how bloggers manipulated Google to set a trap to defame and steal customers. Google's quality guidelines forbid linking schemes, but despite being properly reported, Google allows the googlebomb to exist. The fact that rules need to exist isn't the problem. Any organization, endeavor or civilization needs rules. But when rules are inconsistently enforced, when good sites are penalized unjustly, and when those who break the rules and harm others are favored, Google becomes just one more oppressive presence in the world. Apparently, organizing the world's information doesn't entail making it a better place.